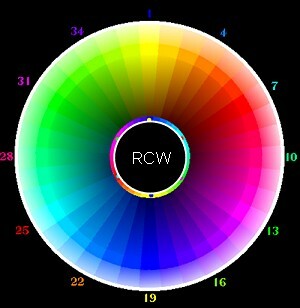 Here is the RCW, YMC-RGB tint color wheel, in gray scale. 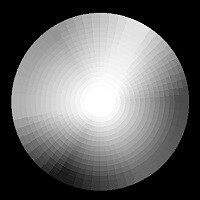 Below is the computer RGB shade color wheel and it's gray scale image. It doesn't work for pigment artists because adding black pigment effects colors incorrectly. and cyan shades to Ultramarine Blue before going black. 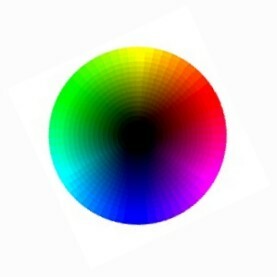 This changes the RGB/YMC color wheel into a Real Color Wheel for pigment artists. Here is the complete RCW in hexadecimal codes and color included with the grayscale.